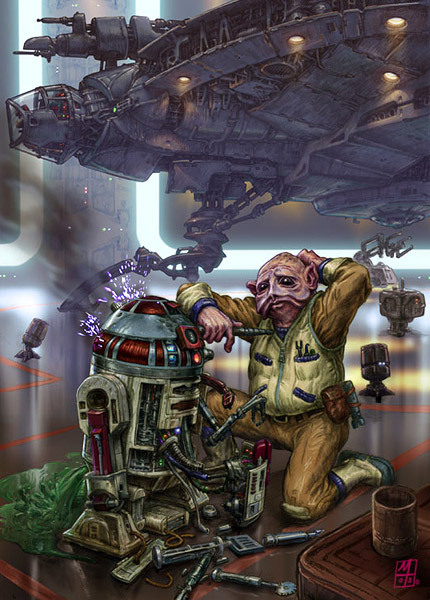 Relevance repair mechanical and electronic equipment; Ships, droids, blasters, Mech, swoops, landspeeders, etc. Mechaincs are a class of the constructive mind. Mechanics represent the hands-on side of JediOrder. Mechanics are natural engineers, creating as much as repairing. Mechanics are better with droids and turrets as well as programming and hacking. That said they are not pilots or warriors in any overt sense, they can fix a blaster but they may not be trained to fire it accurately, they may know how to fix a ship but they may not be able to fly it. This makes them more of a support class depending on what other attributes are applied. They are greater in mechanical skill then Smugglers but lesser in fighting and flight abilities. To become Mechanic, you just have to ask for it.